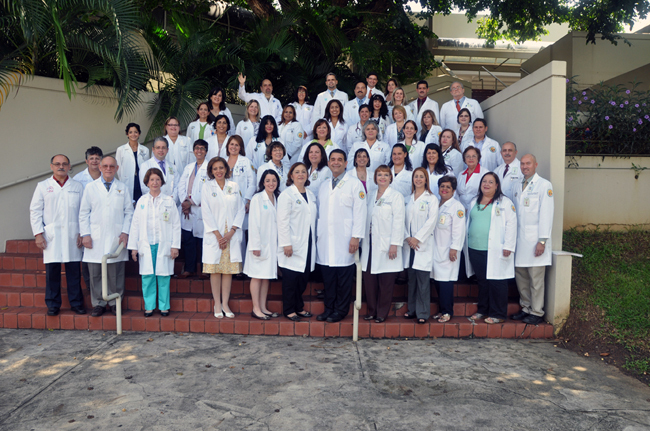 For more than 50 years the Department of Pediatrics of the University of Puerto Rico has provided an excellent training ground and clinical base for students, residents and leaders in Pediatrics in Puerto Rico. Some of our alumni have been and currently are leaders in Puerto Rico, the US Mainland and internationally. This department continues to be at the forefront of the battles against AIDS, child cancer, cardiovascular malformations, hereditary diseases, child abuse, neglect and violence, pediatric intensive care, neonatal care and pediatric emergency medicine. One of the strengths of this department lies in its collaboration between the School of Medicine, the University Pediatric Hospital, our affiliated institutions, the State Health Department and the Pediatric Physician Community. The commitment of the faculty for teaching, quality health care and clinical investigation is among our many strengths. Be responsive to the needs of diverse community groups, professional organizations, government agencies and the general population in the field of pediatrics.